Introducing the Visualization Bundle, including 7 new advanced visualizations! The holidays are over, but Qlik is still bringing gifts - this time in the form of a Visualization Bundle. The upcoming Qlik Sense February 2019 release will include a set of seven new visualizations! We are following the same recipe as the dashboard bundle released in November 2018. The most popular and useful visualizations from the open source community Qlik Branch have been adopted by Qlik and put in a package that the user can choose at install. Two of the extensions (Funnel and Sankey) are made by Qlik and the others are made by individual developers: Clever Anjos (Word cloud), Alexander Nerush (Multi KPI), Ralf Becher (Heatmap), Brian Booden and Matthieu Burel (Radar) and Michael Laenen (Network). The extension bundle is an add-on, it is open source and has different terms compared to the rest of Qlik Sense product. The objects are supported by Qlik and fully functional but are limited compared to native charts in certain aspects such as accessibility and right-to-left reading. The feedback so far has been great: users love the easy way to get the new charts and the support at version upgrades. In my opinion the extension concept is a key element to the success story of Qlik. As a former extension developer (I used to work at Idevio selling mapping extensions) I am still amazed how easy Qlik Sense can be extended! The Funnel chart reminds of vertical descending bar chart with tilted sides. Four rendering modes are supported, where the value is proportional to each segment's: area, height, width or plain ordering. Note that the measure is always descending, no need for a sorting option. The Funnel chart is popular in sales and marketing and often used to represent stages in a sales process and to show the amount of potential revenue for each stage. The Sankey Chart is type of flow chart, in which the width of the arrows is shown proportionally to the flow quantity. The example shows a sales breakdown from product category to country. Sankey charts put a visual emphasis on the major transfers or flows within a system. They are helpful in locating dominant contributions to an overall flow. Sankey charts was first used in physics to show breakdown of energy efficiency but nowadays popular in web traffic analysis, traffic flows and many other applications. The radar chart shows data from three or more variables represented on axes in a polar chart starting from the same point. All axes have same scale, in this example the product category serve as the main dimension, colored areas. The second dimension the, axis represent KPIs with the same scale. The radar chart is often used to show comparisons and outliers. One popular use case is feature comparison, for instance with consumer electronic devices. With many dimension values the chart becomes cluttered and then it is often more practical to show multiple charts side by side. The Heatmap chart is a table of data where the individual values contained in a matrix are represented as colors. Larger values were represented by darker squares and smaller values by lighter squares. A heatmap is practical for provide quick overview of many values across two dimensions, outliers are easy to spot, much faster than just having numbers in a table. A similar effect can be achieved using an expression for the background color of the straight table and pivot table but in the heatmap chart you can use the lasso to do a selection in two dimensions at the same time. The Multi KPI object offers a range of options and customizations beyond the standard KPI object. You can use font styling with size, position and color, multiple KPIs with dimension or measures, embed mini charts using master visualizations and style with CSS and icons to get the message through. Presenting KPIs is a great way to summarize information and will look awesome in any dashboard or application. The Word cloud is a visual representation of text data. Tags are usually single words, and the importance of each tag is shown with font size or color depending on a measure. In text analysis that would be the frequency of the word but any expression can be used. Font size limits, color ramps and number of text directions are possible to set in the Word cloud. Word clouds origins from text analysis, but will look great with any nominal data as long as the strings of the values are not too long. The Network chart is a pictorial representation of the links and nodes of a graph. After that, measures can be added for tooltip, node and link size. The Network chart is useful for analysis of relationships between entities. Popular use cases for network charts are organizational structures, bill of materials, computer network topologies to name a few. What’s next? The bundle program has been tremendous success and will continue with improvements in the Qlik Sense April 2019 release. The content for that release is still to be decided, so stay tuned for updates on this, as it might be your next favorite chart that makes the cut! I hope you will find good use of the new charts, please try them out! The charts are available in Qlik Sense Desktop and Qlik Sense Enterprise as of the February 2019 release . When will these bundle extensions support basic functionalities like data export and snapshot, which by the way is considered as one of the most distinctive features of Qlik Sense? This inconsistency is uncomfortable when introducing new users to dashboards. You can no longer say that every object can be exported and that everything can be made into a story. For end users it will be a random can-do / cannot-do. Actually all the new visualizations can be printed, exported and saved as snapshots. The extension bundle, although limited, is a fast track to fulfill the needs of most users. Now the question that any QlikView aficionado has at the tip of their tongue: Any chance these improvements will also be packaged for QlikView? Great to see Qlik adopt these chart types. Sankey and Radar are key within two of our #SmarterBI apps. 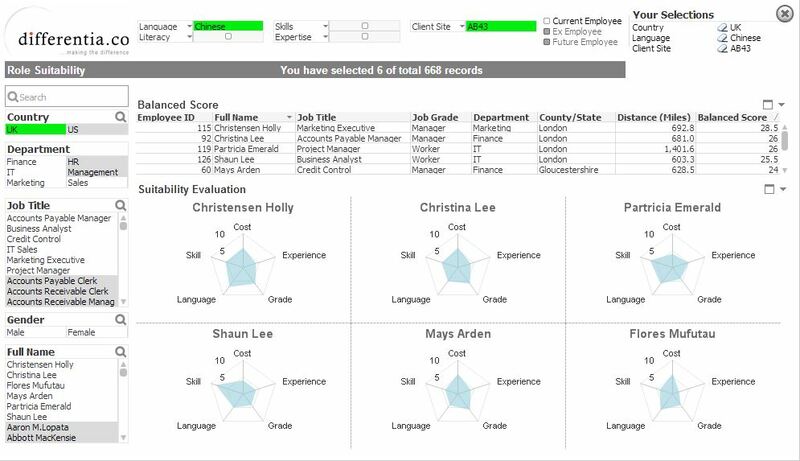 Radar chart is used for resource assessment/recruitment in our Smarter.WFM application. Sankey is great for Activity Flow, in this case Document Access on BlackBerry's ECM. @pgrenier good point! I will suggest that, happy to see your shortlist of qv extensions. second for trellis charts! I always loved this feature in Tableau. Suggestions for future bundle: are there any extensions that add basic analytics in a point-and-click way? E.g. ability to add trend lines of various types, or clustering analysis, without needing to connect to R/Python and without needing to write load script code or complex expressions. @pgrenier, very unlikely anything of this will show up in QlikView. Qlik is putting all developing efforts into Sense while only maintining QlikView for existing customers. When was the last time there was a new visualisation feature in QlikView (I can't remeber). The user interface in QlikView is restrained by the Windows client and it is unlikely Qlik will put any effort into adding functionality in the QlikView Desktop client. Remember QlikView Next? There was to much complications in maintaining compability thus it became Qlik Sense and did away with the UI compability issues. @anderseriksson well, I remember Qlik GeoAnalytics, that was definitely something new for QV. New features for QV are listed here. Fyi, the bundle is based on extensions, QV has also extension API and there are many extensions available, browse them at Qlik Branch. Yes, but GeoAnalytics are your former extensions. When was the last time anything UI related happened in QlikView other than things related to the engine? This blog post is about community extensions and how we made it easier to use them in Sense, native charts is a different topic. My point is that there are also awesome QV extensions and everyone can contribute. Absolutely, but Pgrenier asked "Any chance these improvements will also be packaged for QlikView?" That is something only Qlik can do if they are to be included with the QlikView installer as a bundle. But that is highly unlikely considering last years development of QlikView UI and focus of development by Qlik. Unless I misunderstood the initial question. The making of similar extensions for QlikView and publishing in Qlik Branch is always an option but I don't think that was Pgreniers question. Is there any way to use a conditional value color within the Multi KPI visualization? Thanks for your answer Patric, any chances of including it? It would be really helpful. 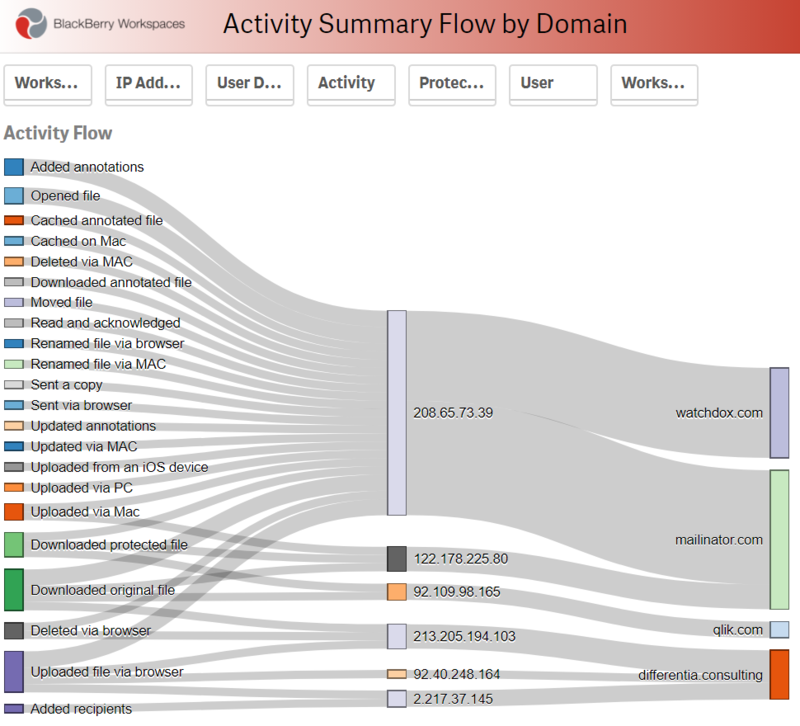 Are there any examples of how to use the CCS properties for the Multi KPI object in the new visualization bundle? The demo shows the result and the help page shows a small screenshot that shows a small section of script, but it is too small to read. Any tips or examples would be greatly appreciated. @danielca it's on my wishlist but there is no ETA. Hello, is it possible to sort data in funnel chart? because it's possible by default just in "Descending" mode.. Finally the Wordcloud is included! really helpful for us. Thanks! One question about the Wordcloud, would it be possible to add a filter option so it is possible for end users to create a filter list of words they would like to exclude and keep that list? @alexander_ratan no, the funnel implies measures in descending order. Thank you, but it's a not very good for my client (he wants to show steps from 1st to the last step, sorting by steps, not by values of the expression).. Any chances that "sorting" will add in the new releases? Seems that Extension Bundles are NOT always supported. Answer from Qlik Support - the bug will not be fixed, as it is not so important. This approach is quite confusing I must admit. Well, it is being worked on but with a different approach. The container objects will be replaced with a native container in the coming releases (most likely June 2019). That will be the first bundle functionality that will replaced by native. When adding features/fixing bugs it is a call between improving the extension and building native. The extensions in the bundle have been picked from the open source community based on the popularity and functionality, yes they have drawbacks but also advantages. OK thank you for the explaination. I wasn't told that. Sounds good!